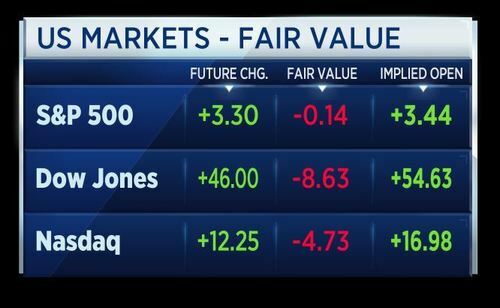 Good morning and welcome to World Markets Live. Here are the top headlines this morning. 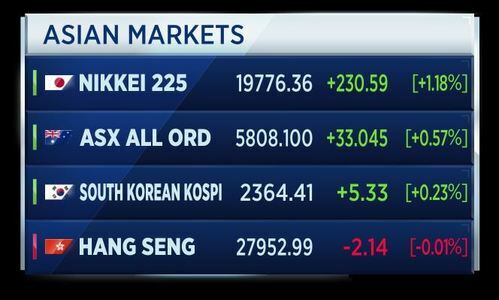 Asian stock markets hit 10 year highs, following the U.S. into the green after the Dow, S&P and Nasdaq all close higher by over 1 percent, for only the second time this year. 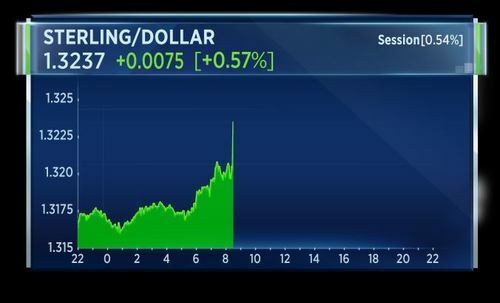 The dollar rebounds and insurance stocks rally as Hurricane Irma weakens, with the damage seeming less than originally feared. 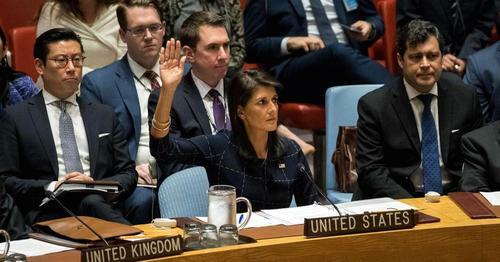 The UN Security Council votes unanimously to increase sanctions on North Korea, after the U.S. compromises to win support from Russia and China. Electric is the buzzword at the Frankfurt Motor show, but diesel casts a shadow, as the debate over a ban rages on across German cities. Asia stocks are at a 10-year high. The broad MSCI index of Asia-Pacific shares outside Japan is at its highest level since late 2007. 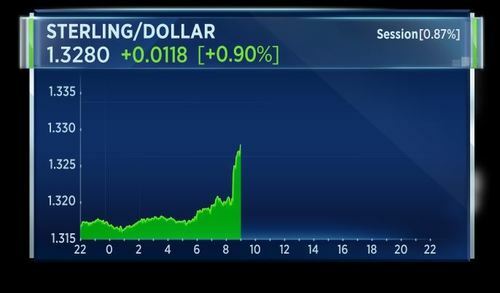 The market is higher after a strong session on Wall Street and relief as fears about North Korea were eased after the United Nations voted unanimously for fresh sanctions against it. The sanctions impose a ban on the country's textiles exports and caps imports of crude oil. Here's a snapshot of the Asian markets at 06:01 a.m. BST. 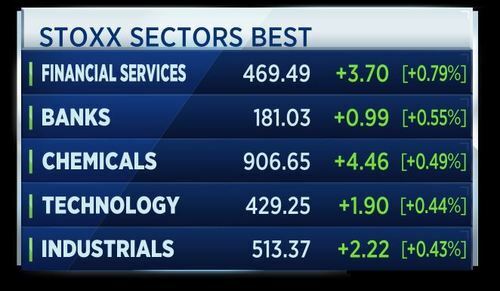 Strong gains for the U.S. markets yesterday, with the three main indexes making gains of more than 1 percent. This was led by insurance stocks, which rallied as the economic cost of Hurricane Irma damage seems to be less than originally feared. Irma has been downgraded to a tropical depression, with winds as high as 35 miles per hour as the storm heads north through the U.S. southeast. Irma still packs heavy rainfall. It is currently south of Atlanta, which is home to the world's busiest airport. Meanwhile, Hurricane Jose is stalling east of the Bahamas and is expected to continue weakening. Insurances stocks have rallied as early indications are that losses from Irma won't be as bad as some feared. Earlier forecasts went as high as $65 billion. But revised estimates for American insured losses are tens of billions lower. Moody's says private reinsurers, including Lloyd's of London and Allianz, are most exposed to the storm's impact. The world's automakers are in Frankfurt this week, grappling with tough challenges ahead, including energy efficiency, autonomous cars and changing consumer desires. Companies are showing off their latest models, including Ford, which is out with a new Mustang. 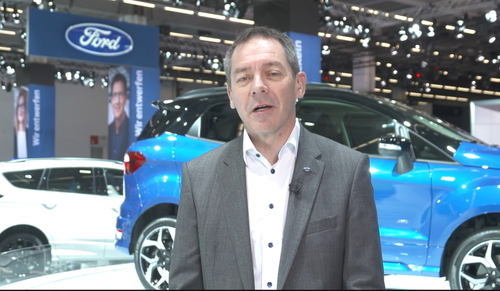 Steven Armstrong, the EMEA president at the Ford Motor Company, says the company is investing $4.5 billion in electric vehicles. The first one of those for us is a specific electrified vehicle which will be in Europe in 2020. That’s going to be a crossover-style vehicle, with a range of about 480km. 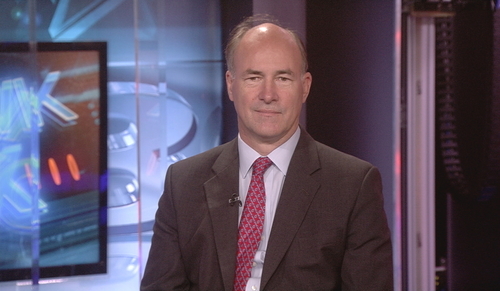 Armstrong addressed consumers’ concerns about what is happening to the market and regulations. Our job is to offer them the information they need to make a good decision, help them to understand the facts behind the different power train and vehicle options, and give them a choice of vehicle types and power trains to meet the use case they’ve got. British lawmakers have voted in favour of legislation to break ties with the EU. In its second reading, MPs backed the EU Withdrawal Bill by 326 votes to 290. Prime Minister Theresa May hailed the Commons vote as a decision that will give "certainty and clarity" ahead of Brexit. But the bill is likely to face further tests, with members of both parties calling for amendments. Klaus Regling, managing director of the European Stability Mechanism, says the passage of the bill, which enshrines a lot of EU law into U.K. law, is an unavoidable step of the process. Otherwise there might be chaos in two years' time. Hopefully it will speed up the process which has been slow so far and that's not good for anybody. 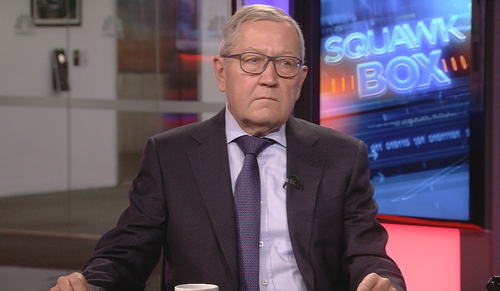 Regling says it is not true that Europeans want to punish Britain for Brexit, as there are interests on both sides, but the EU doesn't want to compromise its core principles. 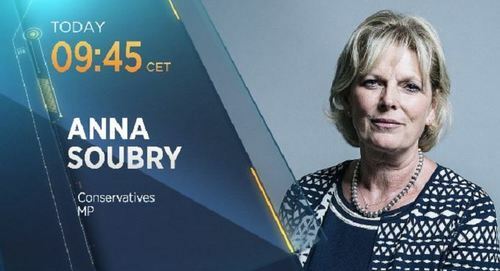 Coming up on CNBC we'll have more on the Brexit story with Conservative MP Anna Soubry, who voted to Remain in last year's referendum. She joins us at at 9:45 CET. 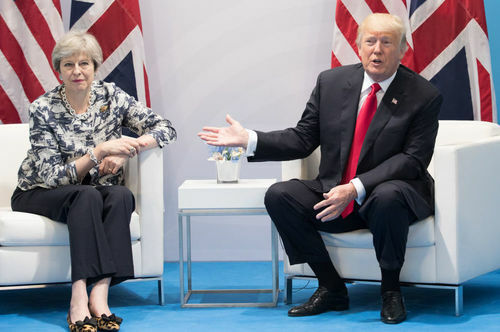 British Prime Minister Theresa May has personally asked President Trump to intervene in a dispute between two aerospace firms. Boeing is currently pursuing legal action against Bombardier, claiming it received illegal subsidies from the Canadian state. The British government is lobbying for Boeing to drop the case. Theresa May intervened in the spat in a bid to safeguard Bombardier's U.K. operations from potential job losses. The world's automakers are in Frankfurt this week, grappling with tough challenges, including energy efficiency, autonomous cars and changing consumer desires. Volkswagen is attempting to shrug off a diesel scandal that has kickstarted a global political push to scrap conventional engines. 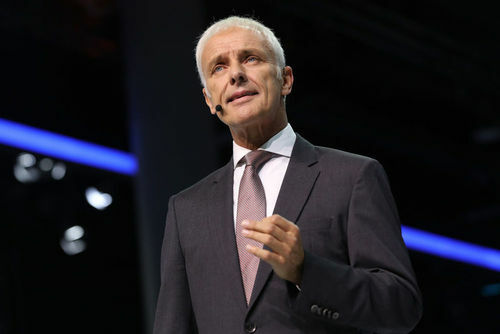 VW CEO Matthias Mueller talked to CNBC about the emissions scandal and the recent talks around banning diesel emitting cars. The diesel issue is a dynamic issue for well known reasons, but the discussion that we’re seeing now is unjustified. The diesels we are offering today are clean. They comply with the Worldwide Harmonised Light Vehicle Test Procedure (WLTP) requirements and they meet the requirements and needs of our customers. 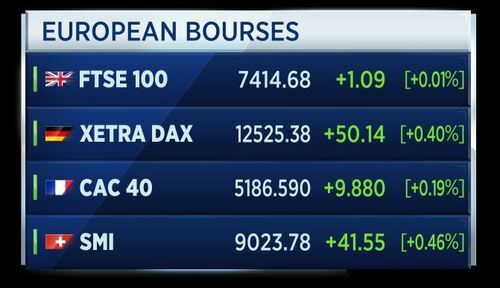 European markets will open in less than half an hour and are called to rise, following the peak in Asian stocks. 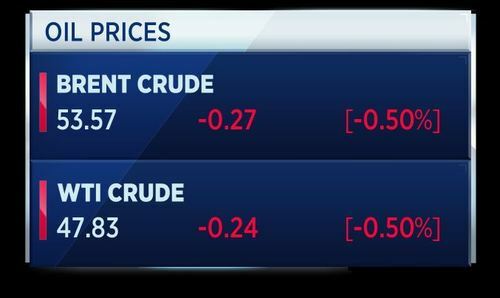 Oil traders are weighing up the impact of extreme weather events in the United States against the latest OPEC commentary. Widespread power cuts in the wake of Hurricane Irma are weighing on energy demand. This as a number of oil producing nations discuss an extension to the output deal. 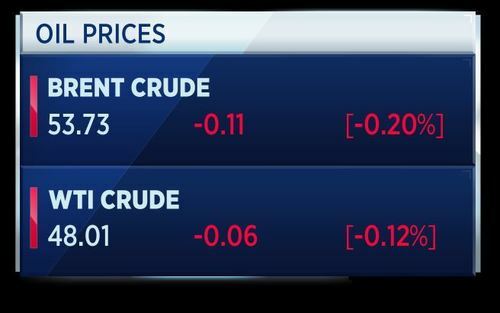 Oil prices are currently trading lower. 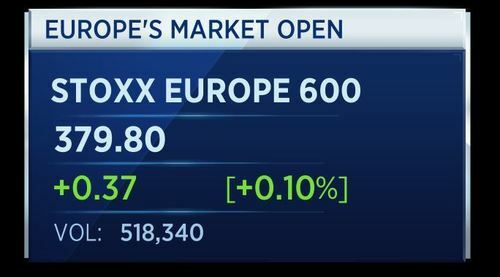 The Stoxx 600 opens to the upside, following strong session in Asia and Wall Street. 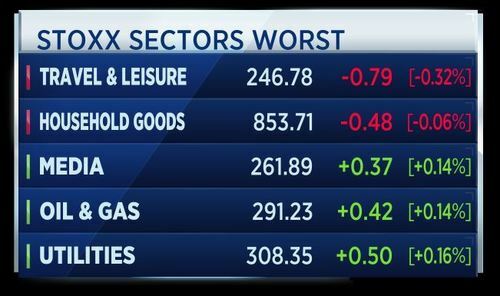 All sectors barring travel & leisure and househould goods are showing gains in today's session. 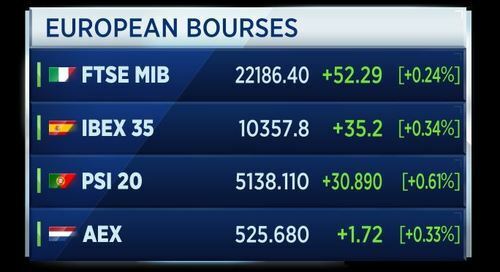 Here's how the individual European bourses are performing at the start of the session. 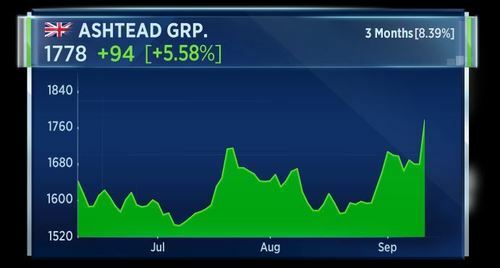 Apple shares had their best day in over a month ahead of the biggest consumer technology product event of the year. The tech giant will peel back the cover on three new phones, including the widely anticipated iPhone X, at an event on its Cupertino campus later today. Josh Lipton tells us what to expect. Two thirds of small businesses are reporting stronger annual revenue growth, while young entrepreneurs are more optimistic than a year ago. That's according to the insurer Hiscox, in a report covering European and American companies. Bronek Masojada, CEO of Hiscox, also discussed the impact of Hurricane Irma as his company is exposed to businesses in the region. At the moment, Irma only finished yesterday so it’s too early to tell. We expect to be able to update the market in probably 10 days’ time with a good estimate. It’s much less than we expected: last Friday we were looking at $150 billion, now we think it’s at most $50 billion. 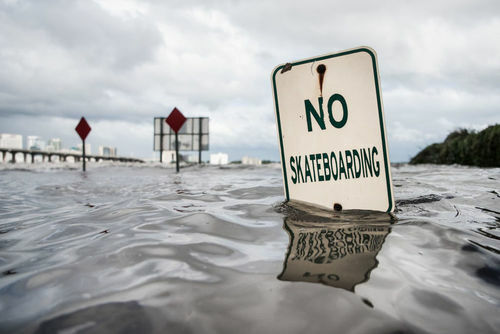 That’s bad for the people of Florida but not nearly as bad as it could have been. Sweden's August inflation falls 0.2 percent on the month, but rises 2.1 percent on the year. This matches the forecast from a Reuters poll of economists. 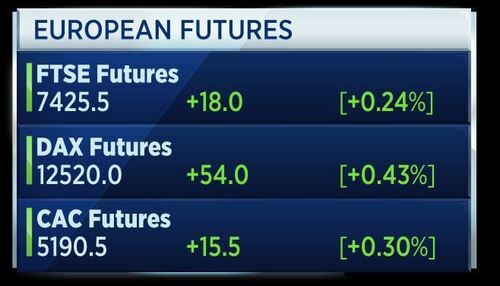 These are the top headlines following the European market open. European markets open higher, taking their cue from Asia and the US, as investors breathe a sigh of relief over Irma. Apple shares close up almost 2 percent, as investors cheer launch details leaked in the press, ahead of the biggest consumer technology product event of the year. Apple shares had their best day in over a month ahead of the biggest consumer technology product event of the year. The tech giant will peel back the cover on three new phones, including the widely anticipated iPhone X, at an event on its Cupertino campus later today. The new model is expected to include a few key advances, including improved camera technology, wireless charging and quick charging. Analysts are predicting the launch will be Apple's most innovative offering in years, while Apple is hoping the new iPhone can breathe life into sales in China, after the company experienced six straight quarters of declines in the country. The group is also expected to release it newest watch and TV. According to a CNBC study, Apple's stock was lower 75 percent of the time on the days it made iPhone announcements. But on the day after, the stock did much better, gaining 60 percent of the time. So in this week's trader poll we are asking: Are you hanging up on the stock? Yes, No, or maybe you're waiting for reaction to the launch? To take part in the trader poll, click on the link below or here. 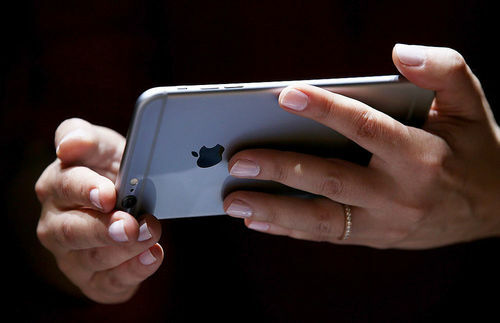 Apple’s highly anticipated iPhone launch is imminent. Are you hanging up on the stock? 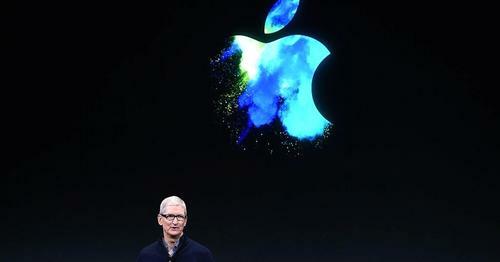 Apple is expected to launch not one or two, but three new iPhones at its highly anticipated launch event on Sept. 12. Budget airline Ryanair announces a $300 million investment in Frankfurt, where it will add 34 new routes from Frankfurt's International Airport next Summer with three extra aircraft. 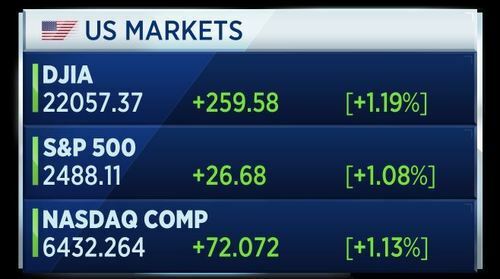 European markets open higher, taking their cue from Asia and the U.S., as investors breathe a sigh of relief over the weakening of Hurricane Irma. 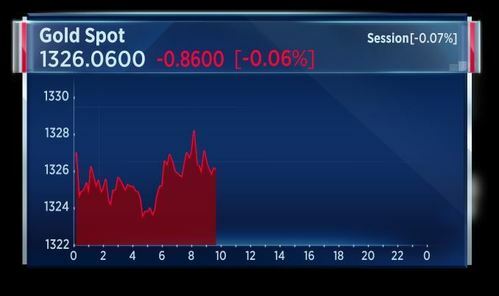 Shares in Redrow sink on news that two key shareholders have sold out of their stakes in the UK housebuilder. Norway's Central Bank has released its latest survey on the country's economy. The central bank's aggregated output index for the past 3 months rises to 1.23 from 1.11 in June, while the index for the 6 month ahead slipped to 1.11 from 1.29 in June. Contacts for the survey expect the pace of output growth to slow somewhat over the next 6 months and they also expect employment growth to remain moderate. Some enterprises warns that uncertainty in the housing market is weighing on expectations. The survey estimates annual wage growth of 2.5 percent for 2017. 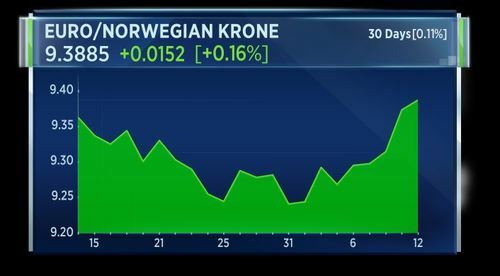 The euro is gaining against the Norwegian crown following the survey's release. Irma has been downgraded to a tropical depression, with winds as high as 35 miles per hour as the storm heads north through the U.S. southeast. Irma still packs heavy rainfall. It is currently south of Atlanta, which is home to the world's busiest airport. Meanwhile, Hurricane Jose is stalling east of the Bahamas and is expected to continue weakening. Ashtead has forecast increased demand for its services in the U.S. as a result of Hurricanes Harvey and Irma. It also announced a 17 percent rise in underlying rental revenue, which helped make it one of the Stoxx 600's biggest risers today. 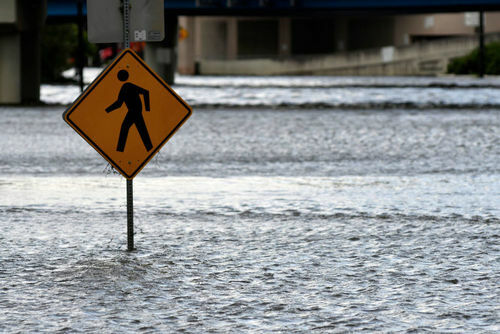 The industrial equipment hire group said the post-storm clean up will increase demand for its diggers and tools. Here's a round-up of the latest M&A news. Italian Finance Minister Pier Carlo Padoan has met his French counterpart Bruno Le Maire to discuss Fincantieri's takeover bid for STX shipyards. Le Maire tweeted he wants to strike a deal with Italy by the end of this month, while Padoan described the meeting as "constructive." In July, France ordered a "temporary" nationalisation of STX after Italian shipbuilder Fincantieri agreed to buy a large stake in the company. Eyewear makers Luxottica and Essilor will reportedly meet with EU regulators to discuss concerns over their 46 billion euro merger. According to Reuters, the European Commission is seeking concessions from the two companies and could open an investigation into the deal. EU Competition Commissioner Margrethe Vestager previously said the merger requires careful vetting. Proposals put forward to resolve competition concerns by Wood Group and Amec Foster Wheeler have been accepted by the Competition and Markets Authority. The CMA's acceptance of the proposals should clear the way for 2 point 2 billion merger to go through. It will create the largest player in the U.K. oilfield services and industrial sectors. A Novartis biosimilar that treats blood cancers and immunological diseases has been accepted for review by the U.S. Food and Drug Administration. The drug, made by the Sandoz unit, has already been approved in Europe. 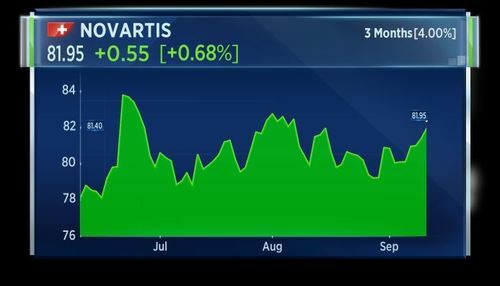 Shares in the Swiss pharma company are slightly higher today on the news. CPI remains well above the Bank of England’s 2% target and we expect it to remain above target throughout the third and fourth quarters of 2017. Headline inflationary pressure should begin to moderate in 2018 as the large moves in the pound drop out of the reported numbers. For consumers, this unfortunately does not mean that they can forget about inflation. History tells us that the impact of inflation on consumers tends to be lagged, i.e. companies will try to absorb some of the pain before passing on price hikes to consumers. Moreover, the broad CPI readings may bear no resemblance to the more severe level of real income erosion that is suffered by some individuals, particularly those living on fixed incomes. Wage growth in the UK remains poor despite the fact that the labour market ostensibly looks strong. At the margin, the hurricanes in the US also pose some modest short-term global inflation risks if energy and gasoline supplies are disrupted. 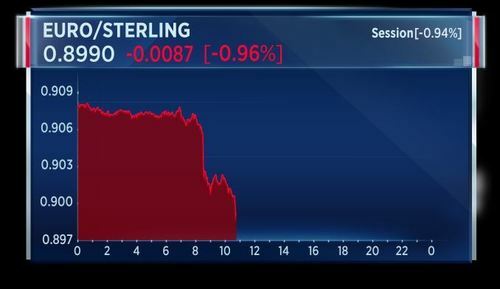 Policy wise, we think the Bank of England will look through the inflation data and we still believe that the Bank will remain on hold until 2018. The tightening squeeze on cash-strapped UK households continues, with August’s inflation figure showing the CPI (Consumer Price Index) climbing to 2.9%, far out-pacing the growth on our pay packets. The spike in prices is due to rising prices for clothing and petrol. The holiday season also saw a rise in air fares. The thorny issue of inflation will be the driving force behind any rate rise decision on Thursday. Economists have suggested that now is finally the time that the Bank takes a more hawkish turn, after eight and a half years of ultra-loose policy. It is pretty remarkable that, with inflation near 3.0% and unemployment at the lowest level in over 40 years, we are not seeing much wage inflation. That means a further squeeze on consumers - but it also means higher inflation is not feeding back into the economy in the form of wage growth. The scene looks set for an easing of inflation pressures through 2018. Russian Defence Ministry says Syrian Army has cleared around 85 percent of Syria from militants but Islamic State still controls around 27,000 square km in Sytia. That's according to Reuters citing TASS. Oil prices softened on Tuesday as Hurricane Irma's dampening effect on demand offset refinery restarts in the wake of Hurricane Harvey. Gold hit its lowest in more than a week on Tuesday as ebbing concerns over North Korea's nuclear ambitions and the impact of Hurricane Irma fuelled further gains in equities, tempering demand for the metal as a haven from risk. UK Media Secretary to make statement in Parliament on 21st Century Fox's planned takeover of Sky. That's according to Reuters. With U.S. prodding, the United Nations on Monday agreed to further limit global trade with North Korea following the country's most powerful nuclear test ever. Although the new sanctions are bound to further squeeze Pyongyang's economy, many analysts expressed skepticism that the United States and its allies could bring the rogue state back into negotiations. CNBCSecret negotiations mediated by a neutral third party are key to resolving the North Korean crisis, says a former NATO supreme commander. U.S. stock index futures pointed to a higher open on Tuesday, as investors continued to track the impact the now former-Hurricane Irma will have on the U.S economy. In the previous session, Wall Street ended on a high note as the damage from Hurricane Irma didn't appear to be as bad as feared. During trade, the Dow Jones industrial average rose to close up 259.58 points at 22,057.37. The positive sentiment provided a boost to markets in Asia and Europe during Tuesday's trade, with both regions edging higher on Tuesday. Value of Norway's sovereign wealth fund hits record $1 trillion. That's according to Reuters. Initial coin offerings (ICOs), the practice of creating and selling digital currencies to finance start-up projects, are “very high risk” and speculative, Britain’s Financial Conduct Authority (FCA) warned on Tuesday. ICOs are a digital form of raising funds from the public using a virtual currency, with issuers accepting Bitcoin or Ether in exchange for a proprietary coin or token that is related to a specific company or project. ICOs are very high-risk, speculative investments,” the FCA said in a consumer warning. UK Junior Business Minister says vitally important we have trade dispute between Boeing and Bombardier settled. That's according to Reuters.